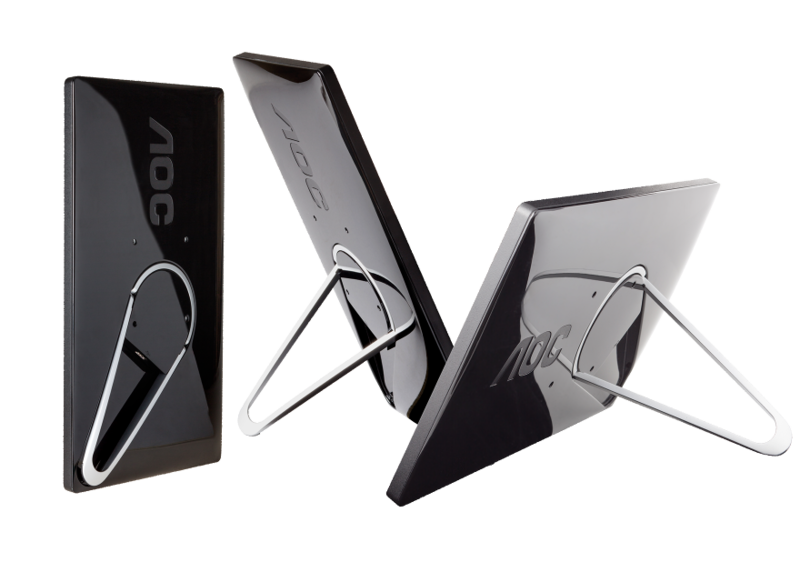 Speaking of upgrades to previous models, we have AOC’s follow up to last year’s USB monitor. 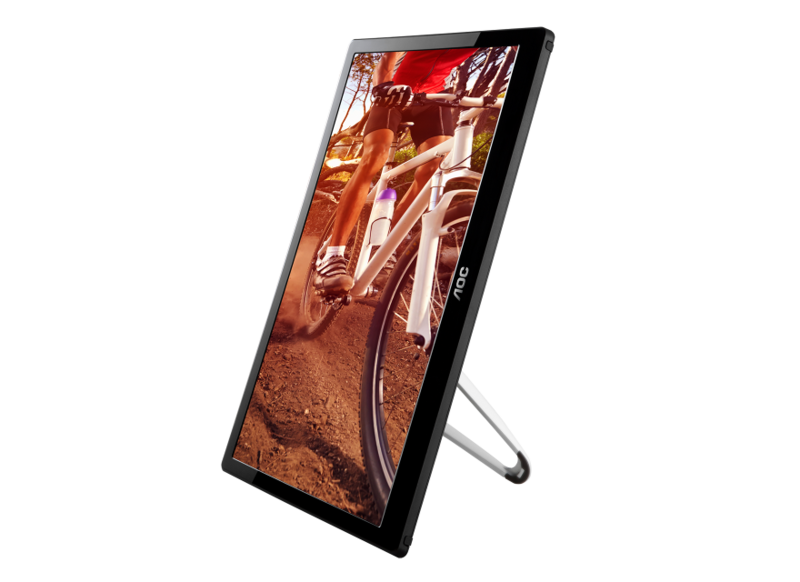 You may remember the AOC e1649Fwu, better known as the AOC USB powered monitor, well this time around it goes by e1659Fwu and while it looks identical to the latter it does sport some nicer features. Some of those features include a thinner design, USB 3.0 connection, capability to mount on walls, and the next two are my favorite upgrades as they were my biggest issues with the e1649Fwu, carrying case and brightness control. The tech specs for this portable secondary monitor consist of but are not limited to 15.6” display, 1366x768 resolution, and an 8ms response time so let’s see how it compares to the e1649Fwu. I mentioned it before but the lack of carrying case really hindered the ability to take on the go without scratching the screen and AOC listened because not only did they include a decent little carrying case but also included brightness controls. They didn’t stop there as the built in Display Link technology was able to allow me to use more than two monitors without requiring additional software. For those unfamiliar with the USB monitor, this gem is simple to use, just one cord connected the USB monitor and I was up and running. After downloading the driver, I was able to get into the settings and adjust everything to my liking. There were a couple things in which I think could have made the experience even better and that would be the angle in which the monitor stands, whether it be portrait or landscape orientation. Even though the instruction manual advised against it, resting the adjustable arm on the base of my desk lamp did the trick. However, if you do want to follow the manual and abide by the rules, this can easily be resolved by mounting on the wall and also freeing up valuable desk space. The only other thing I would have changed, would be the length of the USB cable as it is on the short side and does not leave many options outside of using on the go. As a big fan of the previous model, this is a pretty big step up and anyone on the fence for a second monitor that couldn’t be any easier than taking your laptop with you on the go. It is nice to know that AOC is listening and actively working to give us consumers what we want, I liked the last monitor but I loved my time spent with this reboot. 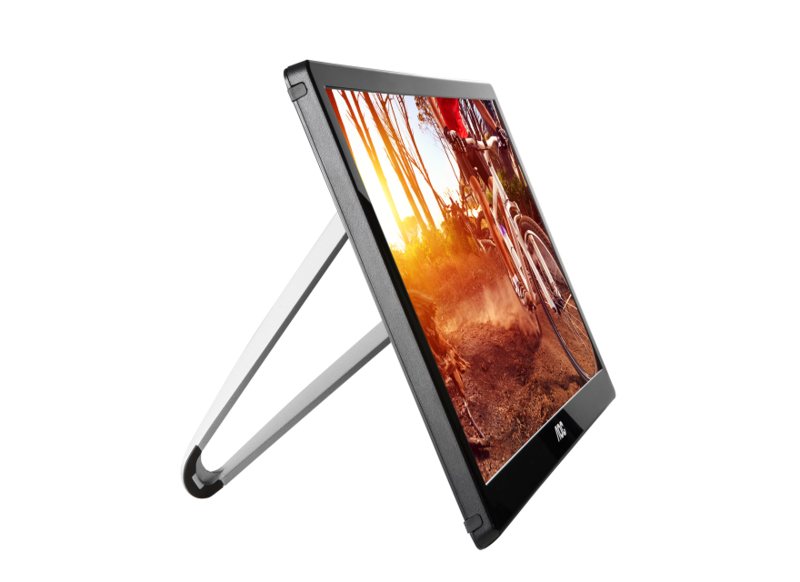 It is more expensive than standard monitors in it’s size, but you are getting portability and less cords. 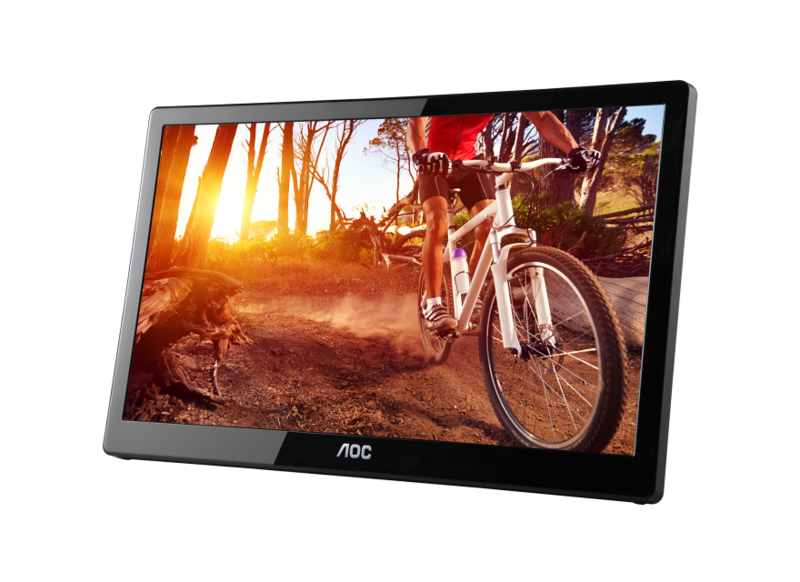 Whether you set up shop in the local coffee shop or just need some additional digital landscape, I suggest the AOC e1659Fwu USB Monitor if you are are in the market for a 15.6” monitor as they are available now for the price of $129.99. More people are moving to monitor arms and dual desk mount monitor arm for their computer systems – and for good reason. Monitors can take up valuable space on a desk while a well designed monitor arm will save desk space and help reduce clutter. In the long run, the monitor arm will not only add style and design to any work space, but it may also reduce work related injuries such as repetitive strain injury and chronic back pain if used ergonomically correct.